Home » Bollywood News » Jolly LLB 2: Has Akshay Kumar replaced Arshad Warsi in the sequel? Jolly LLB 2: Has Akshay Kumar replaced Arshad Warsi in the sequel? 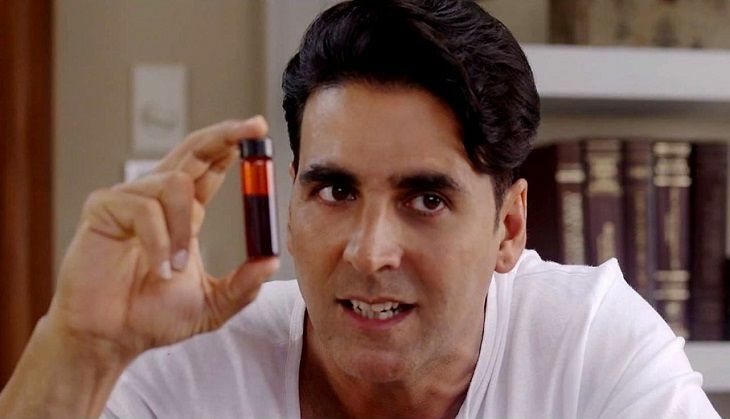 Akshay Kumar is one of Bollywood's busiest actors. The actor, who is known to release four films a year, is reportedly in talks with director Subhash Kapoor to essay the titular role in the sequel to the 2013 sleeper hit, Jolly LLB. Kapoor, who last directed the critically-acclaimed film, Guddu Rangeela, has been working on the script of Jolly LLB 2 for a while now and has finally locked the subject for the film. According to media reports, the director has discussed the script with Akshay Kumar, who is excited about the idea. Also Read: Is Bollywood an Oligopoly because of Salman, SRK, Akshay, Aamir, and Hrithik? Like Arshad Warsi in Jolly LLB, Akshay Kumar will essay the character of a lawyer in the sequel to the much-loved film. The shooting of Jolly LLB 2 is expected to commence from October/November this year and the movie will be Akshay's second release of 2017 after Namaste England. Akshay is currently shooting for Robot 2.0 in Chennai, following which the actor will start the promotional campaign of upcoming comic caper, Housefull 3. Akshay's third film of the year, Rustom, releases on 12 August 2016. The Jolly LLB sequel will be produced by Fox Star Studios and there are plans to establish it as India's first judiciary film franchise. The basic premise of the sequel is inspired from yet another high profile case, a source close to the development revealed. A chunk of the film will be shot in Uttar Pradesh, sources said. Despite repeated attempts, director Subhash Kapoor did not respond to the reports. Modi's Iran visit: what should be on top of the PM's agenda? READ NEXT >> Modi's Iran visit: what should be on top of the PM's agenda?